A standard issue hotel room usually includes (rather crucially) a bed, a TV, guest bathrobes and slippers, a phone, a hairdryer and, increasingly, free wifi. Throw in a copy of The Bible tucked away in the bedside table and there’s not much missing from this regular hotel room description. However, the humble hotel room is evolving. As we know guests are expecting more and more from their trips away from home, forcing property owners to rethink what’s on offer and up their guest experience game. Some hotels are designing rooms that are so revolutionary, they’re patenting the layouts and unique features. Patents typically protect the next big thing and a great example is Google’s PageRank patent, which the company filed back in 1998. Google wanted to protect its invention which valued a webpage based on how many other sites linked to it – something that continues to be a crucial SEO-building tool today. The patent made sure that Google’s rise to dominance in its field could be secured essentially unchallenged. Technology is an obvious space where patents to protect ideas and inventions are commonplace. Less common is the practice of patenting a hotel room and its layout. But that doesn’t mean it can’t be done. This year, both Disney and IHG, have completed applications and received approvals for hotel room patents. One for entertainment enthusiasts and the other for devotees to work/life balance. What’s so special about this hotel room? Disney’s multimedia system is built so that any room can be “…converted into an immersive entertainment experience” – with its intended use designed for hotels. What are the unique features including in the approved patent? The multimedia system centres around a projector that has camera and audio attachments which Disney says allows the hotel room “…to become as immersive as any screen environment or even more so”. 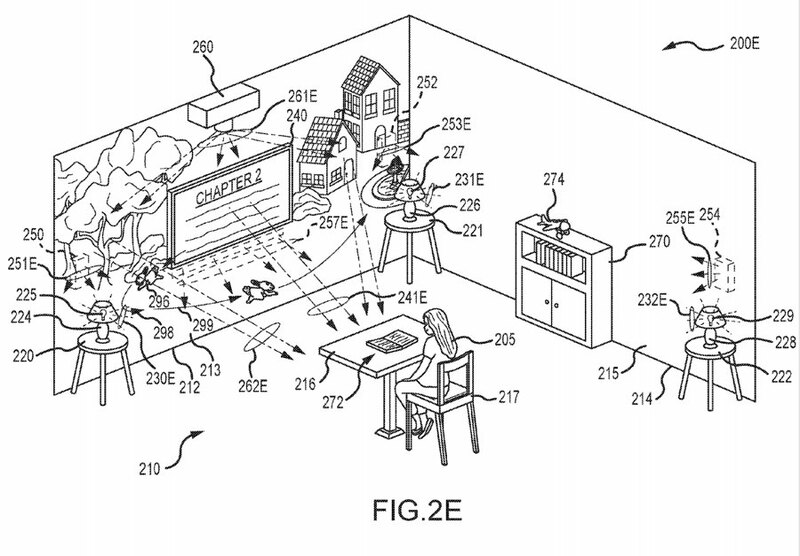 The patent says that the TV and multimedia system, which connect together, sync to create a rich storytelling environment. Guests have control of the system using a multi-purpose controller allowing them to tailor the display, the video projection, the audio system and other show components such as lighting, fans, and props. Media content can be predefined for the room to suit a certain theme or it can be curated in real time to suit the hotel guest – this is when Disney says their multidimensional entertainment space comes alive. Guests could use the augmented displays to create a special dinner setting when enjoying room service or they can set unique alarms. Bathroom wall projections can help children engage with a bathtime routine and there’s even in-room fireworks without the worry of an obstructed view. Calling it the “guest room of the future”, IHG says the ‘WorkLife Room’ helps business travellers blend their two lifestyles in a room designed specifically for their needs. It’s part of IHG’s ‘Crowne Plaza Accelerate Program’ which focuses on high-impact innovations that deliver modern amenities. 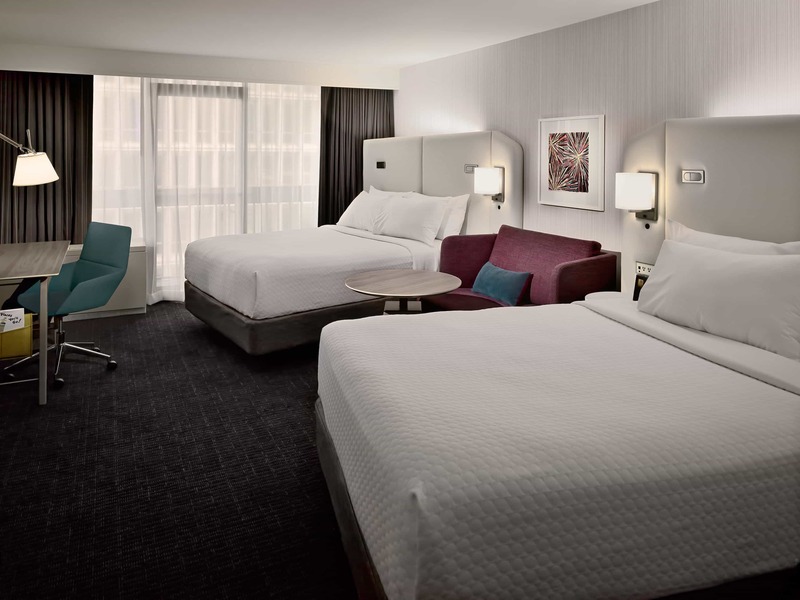 While Disney’s patent approached just one element of the room – the entertainment system – Crowne Plaza’s WorkLife Room focuses on more connected elements of traditional hotel amenities. The design team has created a room with distinct zones encouraging guests to work, then switch modes taking time for relaxation and recharging. There is an angled bed opening up more space for the distinct spaces. Beds feature a cocooning headboard, plush linens, Beautyrest mattress and a Sleep Advantage aromatherapy kit for optimum relaxation. A sofa nook helps guests read, watch TV, work, host meetings or enjoy room service. And because connectivity is key for business travellers they’re never too far away from device charging stations and fast, free wifi. Up to 14 devices can be charged in the room at any one time and the consideration of the room’s design means guests never have to move furniture around to plug devices in. A patented hotel room isn’t in reach for all properties. But you can make a big difference to your guests’ room experience with some small, thoughtful changes. You can read more about interior design on the SiteMinder blog – such as this article on how to use plants around your property or for more long-term planning read this blog on the future of hotel design.